DJI Phantom 3 Battery - Top 5 Drone Batteries Any Budget! The DJI Phantom 3 battery is a wonderful thing – it is the power and driving force behind our drone. However, if you’ve had your Phantom for some time, you will have realized that having spare Phantom batteries is always useful. There are a ton of different types of Phantom 3 batteries out there on the market, so on this page, I will tell you what the best DJI Phantom 3 battery actually is. However, there is one very important piece of information you need to know before you buy your battery. Most of the batteries you see on Amazon are not made by DJI themselves but in fact, are made by other companies who model the battery to look exactly like the original DJI one. In my experience, I have bought loads of different types of non-original DJI batteries which has saved me up to $80 per battery. However, they all perform just as well as the original DJI Phantom battery and therefore I am a firm believer that if you want to save yourself some money yet keep the performance of your drone, just buy a clone battery from Amazon. Thus, on this page, I have listed my favorite DJI Phantom 3 batteries. They all perform just as well as the original but are a heck of a lot cheaper! 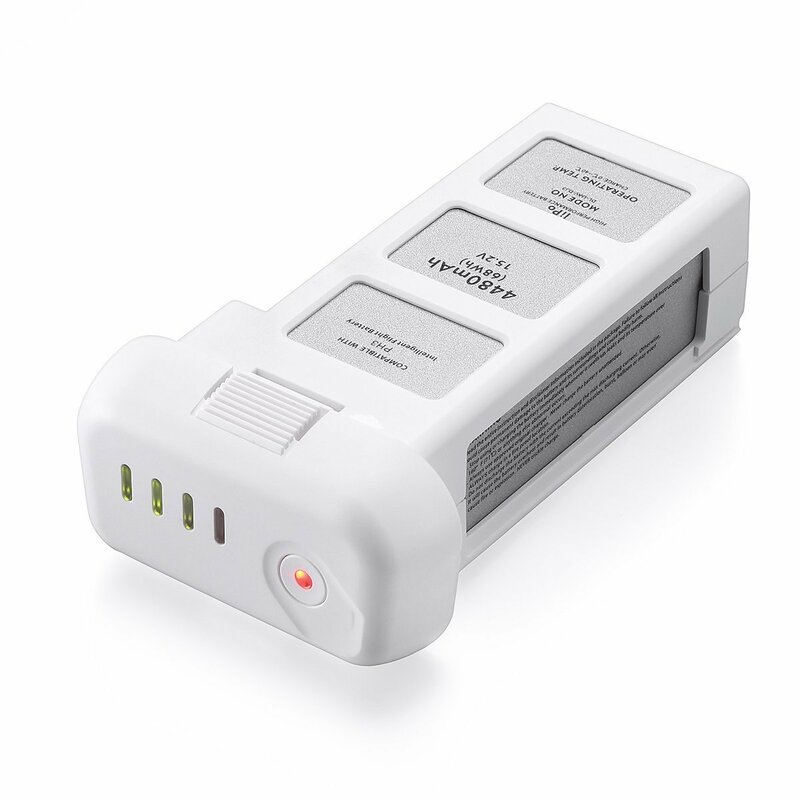 If you are serious about flying your DJI Phantom 3 and you are looking for a battery that will last for a long time (23 minutes of flight) and charges very quickly then you need the DJI Phantom 3 Quadcopter Drone 4480mah Intelligent Flight Battery 2-Pack Bundle. The reason this is the best DJI Phantom 3 battery is simple. One spare battery is never enough if you’re going out to film properly (be it for a video production or simply to record your holiday.) Getting a dual bundle of batteries like this one will give you a total of 46 minutes extra flight time which should be enough for you to capture that amazing video footage. I have about six of these batteries in my flight bag and whenever I go on a professional outing and thus they are my ‘go to’ battery for the DJI Phantom 3. Note: This battery is not made by DJI themselves (hence your saving around $30) but if it doesn’t work you are covered by Amazons return policy so you’ve got nothing to worry about. 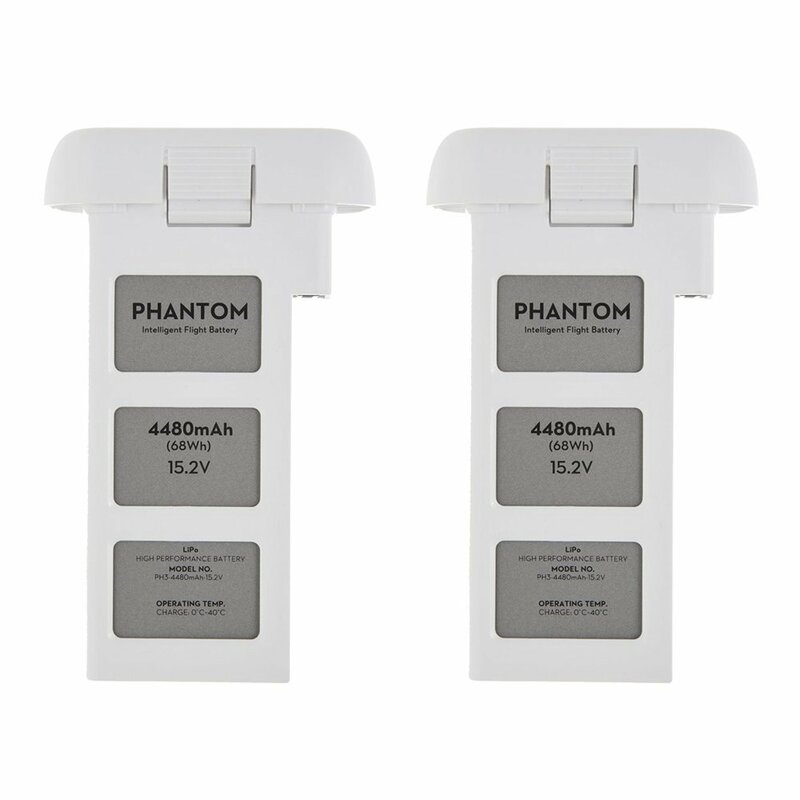 Buy these DJI phantom 3 intelligent flight batteries here. This is the cheapest reliable battery on the market and so I highly recommend you get it. This is a cheaper alternative for those of you who don’t want to spend over $100 on a new Phantom battery. I bought this battery a few weeks ago to test out for this review and I was pleasantly surprised by its performance. These batteries look, feel and work in an almost identical way to the official DJI battery. I have had to charge it already over 30 times (yep I’ve been doing a lot of flying recently) and I’ve noticed that they charge just as quick as the original DJI batteries. Also, they still give me around 20 minutes of flight time (depending on my conditions) which is fantastic. What’s even better is that the Powerextra customer support is amazing. Should you battery not work (and you can prove that it doesn’t work by sending a video) then they will send you a brand new battery free of charge! Therefore you have absolutely nothing to lose by choosing the Powerextra DJI Phantom 3 battery. Having a spare battery for your done is a no-brainer. 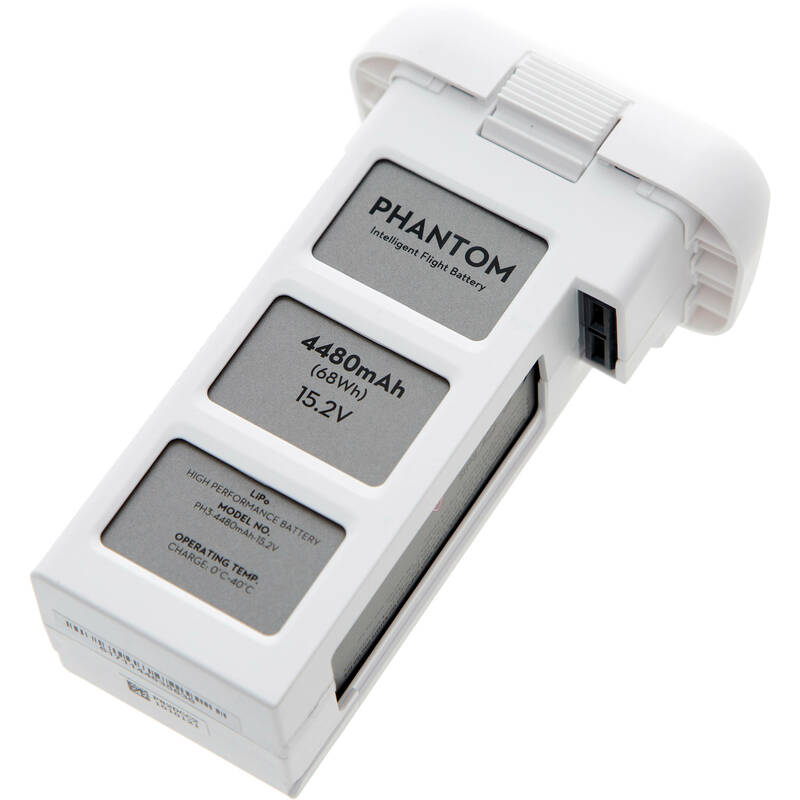 The DJI Phantom 3 Intelligent Flight Battery. 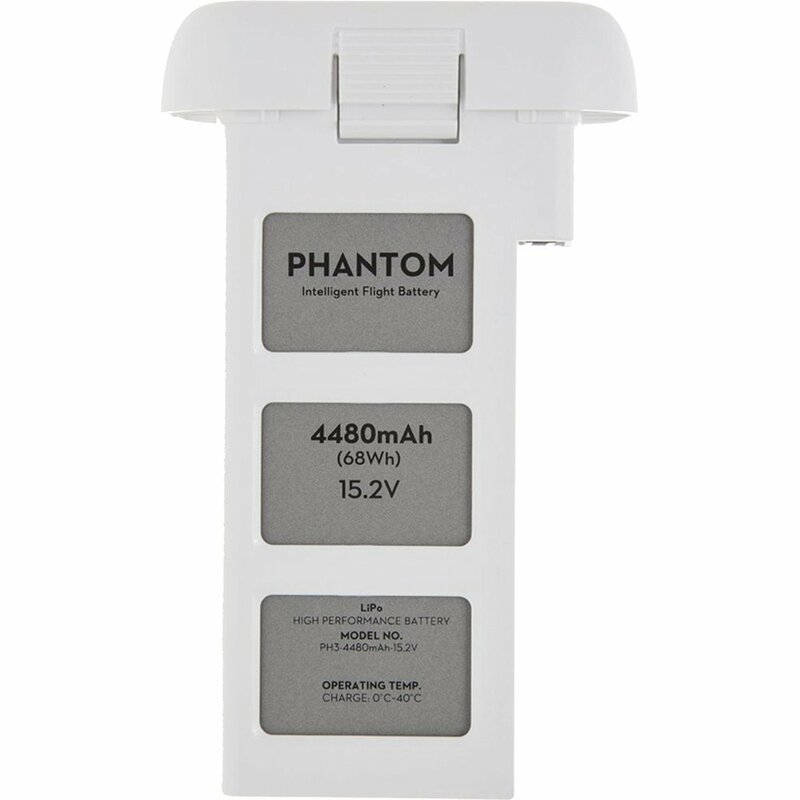 This is a genuine OEM battery and will sync with your Phantom 3 perfectly. When I used it, my phantom recognized it in the app instantly meaning I knew exactly how much battery I had left when flying. Also, it charges pretty quickly as well and gave me a good 23 minutes of flight time before I had to stick it back into the charger. All round, this is a good, reliable and solid battery which is highly recommended if it fits your budget. Buy it here. This is the cheapest DJI Phantom battery on the market. 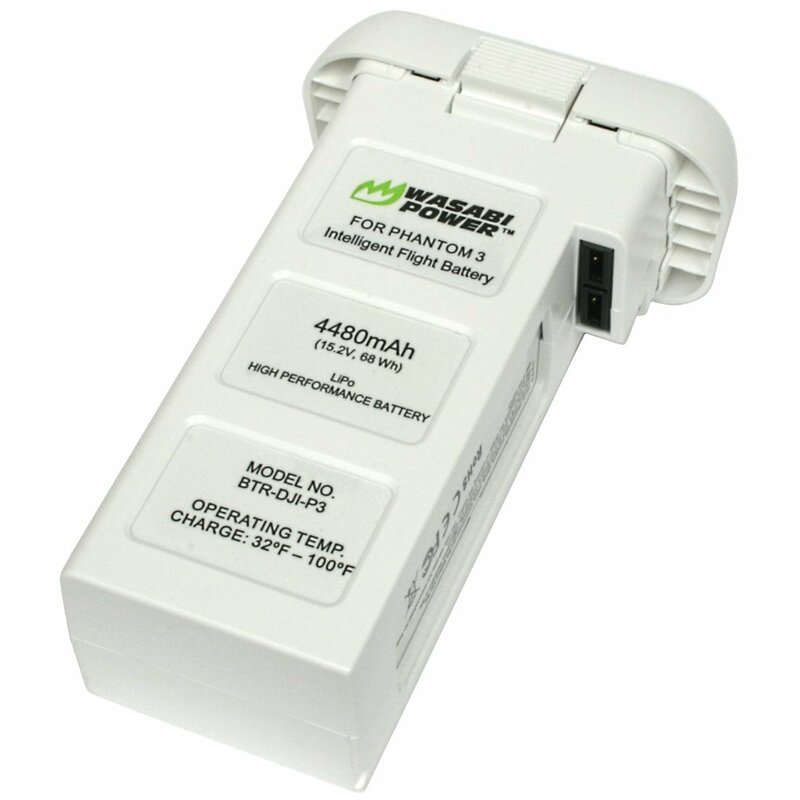 Wasabi is typically known for producing batteries for electrical goods such as the GoPro. I’ve taken this battery out on many different flight tests and I have come to the conclusion that this is a very solid and reliable battery that, (much like the others on this page) performs almost identically to the original DJI Phantom 3 battery. Because this is an ‘intelligent’ battery it means that it will adapt to DJI’s latest firmware updates with ease. Thus, if you are looking for a battery that is cheap yet has practically the same performance as the original DJI Phantom 3 battery then this may just be the right option for you. Thank you for reading this far. You should now have a much better idea on which DJI Phantom 3 battery you should buy. If you found this article helpful, feel free to like and share it below. Thanks!